Alta Forest Products is the worlds leading manufacturer of cedar fencing. However, the market has been flooded with fake cedar products and most consumers don’t understand the superior benefits of real Western Red Cedar. Alta approached Digital Kitchen looking for a complete brand overhaul, so we created a brand video, logo ,visual identity, photography and collateral so they can continue to dominate the fencing market. 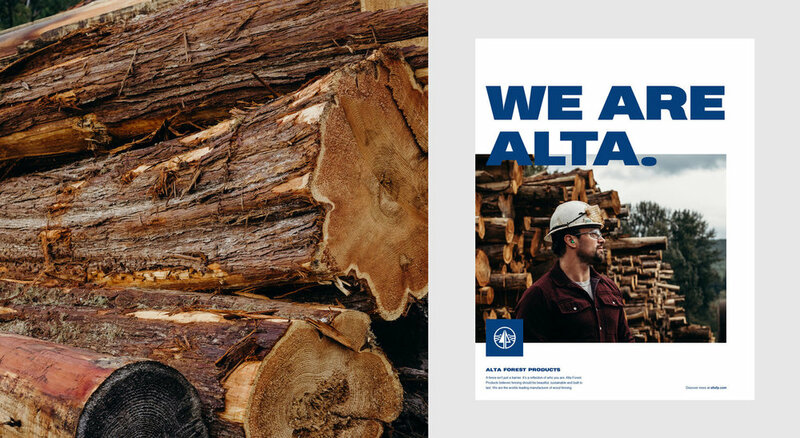 We modernized the Alta brand identity without losing touch of their roots. We achieved this by updating their logo, building a new brand system and combining it with elevated photography. We redesigned their website, simplifying a complicated user experience, to create a website with a clear message for their different customers. 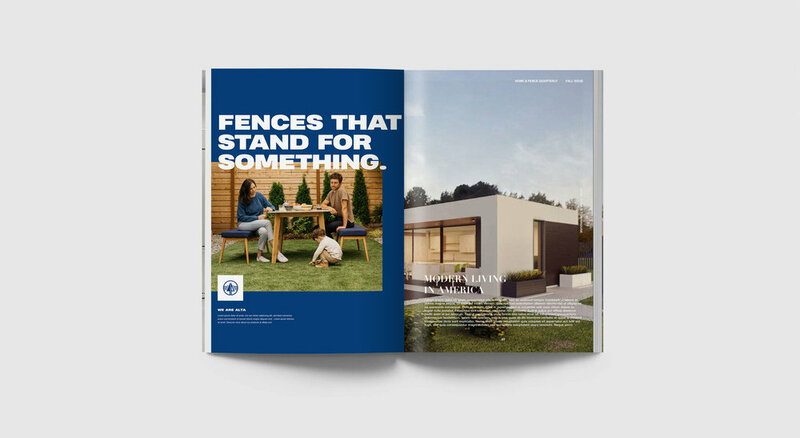 To accommodate contractors and distributors, we created a functional and modular piece of collateral that can be left with customers, educating them on the Alta brand and their entire line of products.